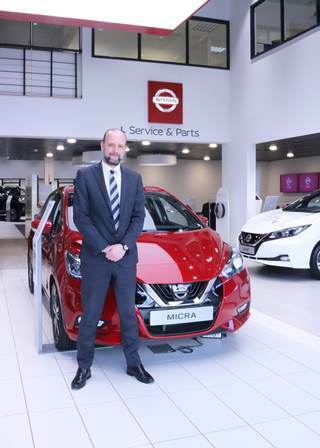 Paul Hughes, group Nissan brand manager at Westover Group is celebrating 25 years of service at the motor dealership. Having left school at 16, Paul immediately started working within the motor industry and joined Westover in 1993 as a sales advisor. Nine years later Paul was promoted to a sales manager, and then he worked his way up through the ranks to general sales manager at Westover Nissan. Paul Hughes added: “Westover has been a brilliant company to work for. It was a lot smaller when I first joined, however it has managed to retain its family feel which is really important to me. My colleagues are brilliant and a lot of them have been working at Westover for five, ten years plus. The Westover Group was established in 1923 and currently employs more than 725 people and represents 15 vehicle manufacturers from 26 showrooms across Dorset and Wiltshire.